Knock! knock! Who’s there! It’s #BookFaceFriday!! Today is the last day to deliver your donated books! Anyone and everyone is welcome to drop off donated books. We need them by the end of the day TODAY, so we can deliver them to the Salvation Army tonight. Every year, for the last thirty years, Nebraska Library Commission staff collect new or gently used books for children and teens to be donated to the People’s City Mission and the Salvation Army for their Christmas giveaway for youth in need. The books come from all over. Brought from homes, bought new in stores, or purchased at thrifting excursions, Lincoln City Library’s book sale, or the Scholastic Book Sale. 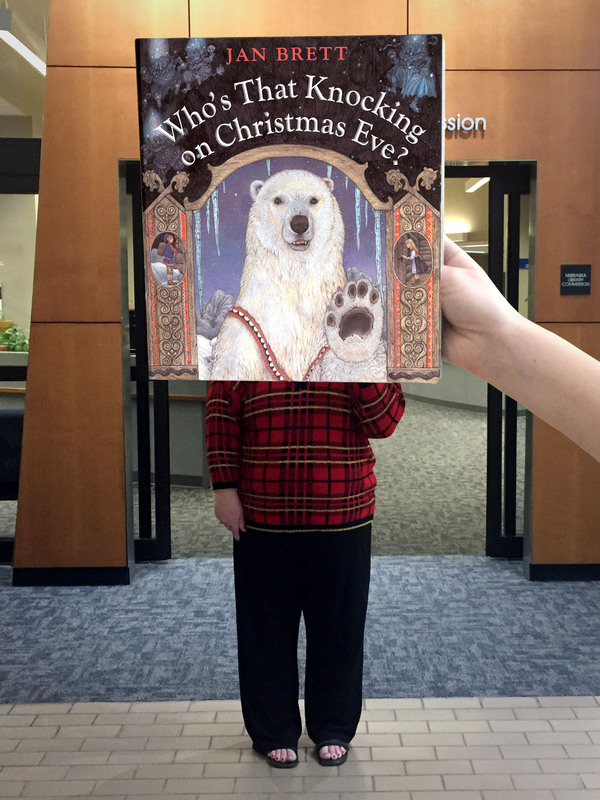 We snatched this one out of the pile of donated books, “Who’s That Knocking on Christmas Eve?” by Jan Brett (Scholastic, 2003). 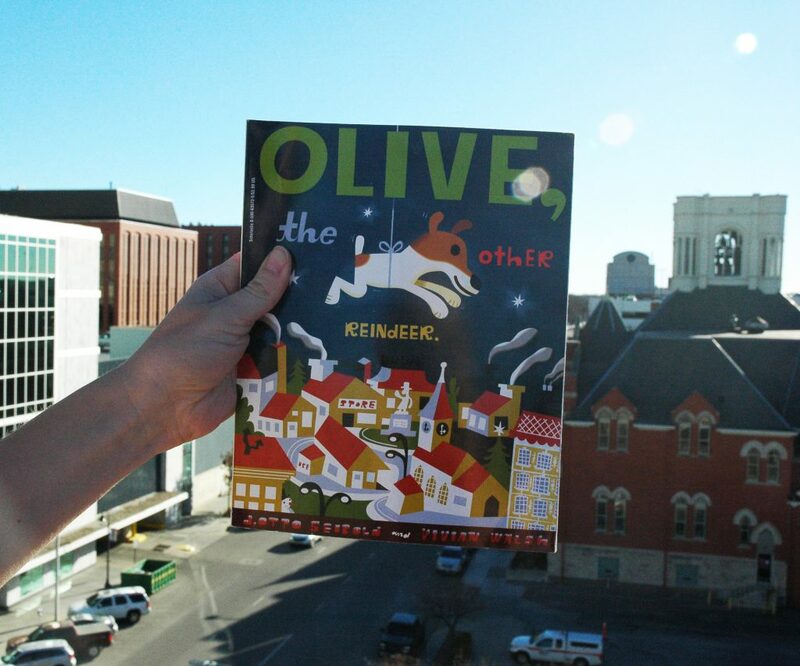 It’s adorable illustrations and unique folklore made it the perfect #BookFace. This week’s #BookFace model is quite the mama bear herself, Mary Geibel is NLC’s Information Services Technician. She was also willing to wear a holiday sweater just for our #BookFace. Love this #bookface & reading? We suggest checking out all the titles available for book clubs at http://nlc.nebraska.gov/ref/bookclub. Check out our past #BookFace photos on the Nebraska Library Commission’s Facebook page! We’re on the edge of our seats for NLC’s annual book drive!! If you’d like to pitch in, anyone is welcome to drop off donated books. We need them by the end of the day on Dec. 14th, so we can deliver them to the Salvation Army that evening. We’re having some fun with a few donated books that were just perfect for #BookFaceFriday. Like “Girl, Stolen: A Novel” by April Henry (Henry Holt and Co., 2010). It’s a YA thriller, full of nail-biting suspense. This week’s #BookFace model is Tan Ngo, NLC’s Accountant for the next few days at least. She’s being stolen away by another state agency, and we can’t believe how much we’re going to miss her! Get into the holiday giving spirit with NLC’s annual book drive!! Every year, for the last twenty-nine years, Nebraska Library Commission staff collect new or used books for children and teens to be donated to the Salvation Army for their Christmas giveaway for youth in need. 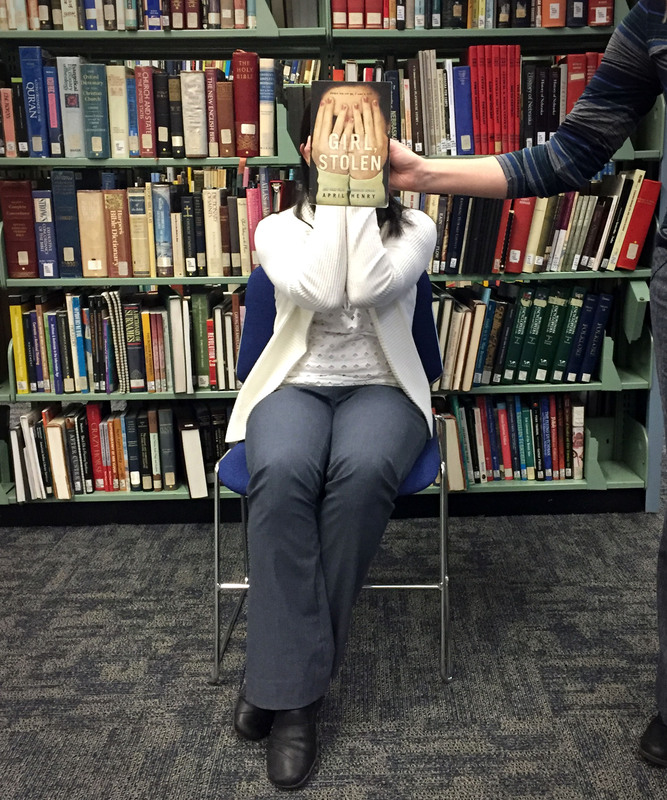 We had some fun with a few donated books that were just perfect for #BookFaceFriday. Even better they had holiday themes! We just couldn’t resist. 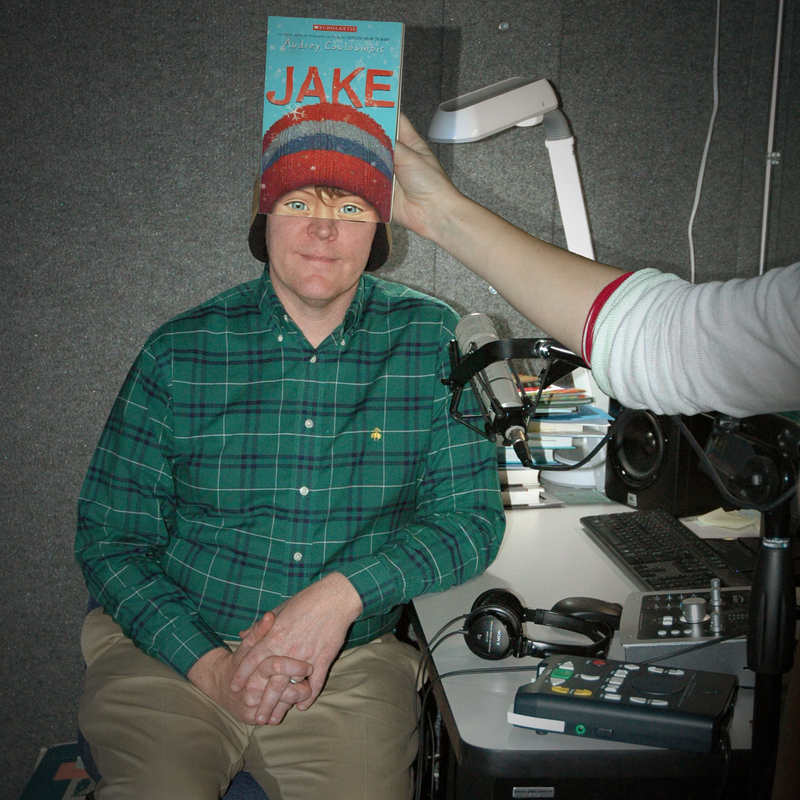 One of this week’s #BookFace models is Talking Book & Braille Service Director, Scott Scholz, who luckily for us, wears a stocking cap regularly to work. We also got a little help from the downtown Lincoln skyline. 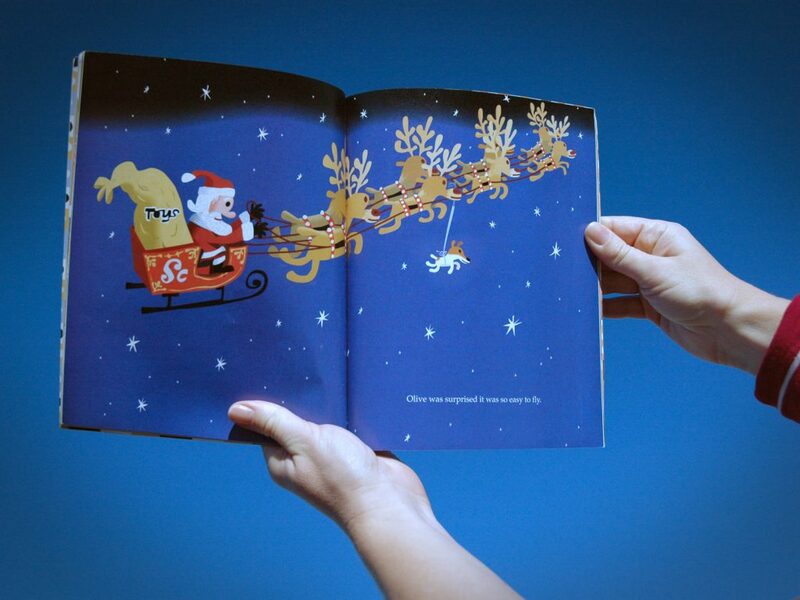 Maybe if you’re lucky this Christmas eve, you’ll spot Olive pulling Santa’s sleigh. The books come from all over. Brought from homes, bought new in stores, or purchased at thrifting excursions, Lincoln City Library’s book sale, or the Scholastic Book Sale. If you’d like to pitch in, anyone is welcome to drop off donated books. We need them by the end of the day on Dec. 14th, so we can deliver them to the Salvation Army on Friday Dec. 15th.